Tomorrow night (Wednesday, Jan 10, from 7 to 9 pm), I will be the guest speaker at the annual meeting of the Merrimack River Watershed Council. The meeting, which is free and open to the public, will be held at Navigation Brewing Co. at 122 Western Ave in Lowell (inside Western Avenue Studios). 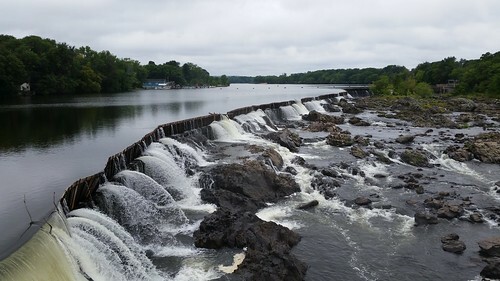 The topic of my talk is “Bypassing the Falls: How Two Lowell Canals Changed the History of the Merrimack Valley.” It will cover the creation of the Pawtucket and Middlesex Canals and the impact both had on the communities of the Merrimack Valley. The Merrimack River Watershed Council is a registered 501(c)(3) nonprofit committed to making the Merrimack River and cleaner and healthier resource through environmental advocacy, scientific research, education, and watershed land management.